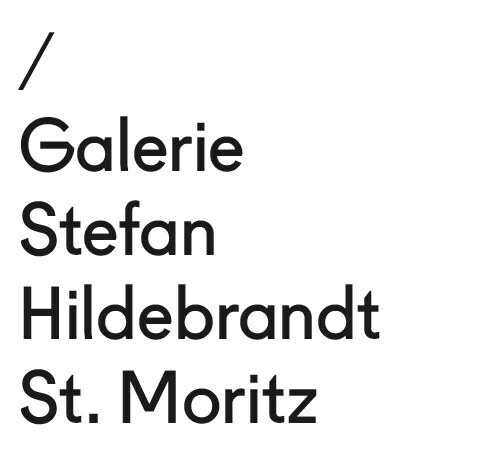 Galerie Stefan Hildebrandt is a gallery for contemporary and post-war art specializing in European and American artists. The gallery is located in the heart of the alpine village St. Moritz in a culturally environment with the finest private collections, blue chip galleries and a rich cultural tradition, where modern masters such as Gerhard Richter and Andreas Gursky frequently stay during the summer and winter. The gallery mounts up to four shows each year and aims to offer the most intellectually and visually compelling shows in the Engadin valley. Before opening the gallery in December 2010, Stefan Hildebrandt wasa an advisor and private dealer in post-war and contemporary art in the vibrant art scene of Berlin and Zurich since 2002. During this time he forged strong relationships to artists, museums, auction houses, and private collectors whom he helped building their collections. 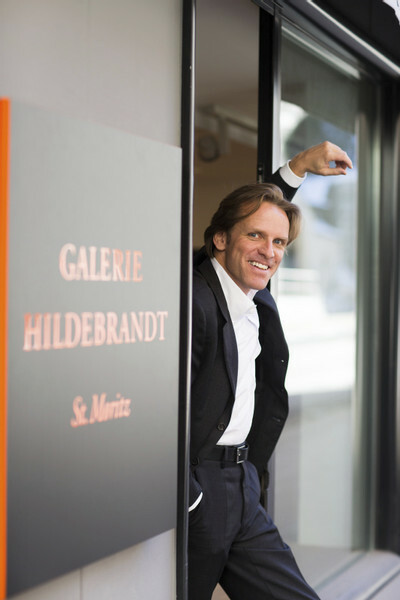 Stefan Hildebrandt attends all major art fairs and auctions worldwide in order to have first-hand knowledge of the art market. Hildebrandt is a third generation art collector. His grandfather and father collected seventeenth century Flemish painting, but the first work he ever bought, in 1978, at the age of twelve, was a Campbell's Soup Can print b Andy Warhol. In the mid 1980s, Hildebrandt began acquiring post-war German art with a focus on Joseph Beuys. In 1992, well before the artists became well known, he purchased works by Damien Hirst, Sarah Lucas, Gavin Turk, Rachel Whiteread and their progenitors, Gilbert & George. At the same time, advising them to buy at that early stage and helping to build what would become some of today's best private collections of contemporary art. Although Hildebrandt has a BA in Business from the University of Applied Sciences in Wuppertal, Germany, his credentials as a farsighted dealer come from more than thirty years involvement in the complex field of contemporary art. Through experience, he has developed a good eye. He identifies promising emerging artists as well as "value artists" before they hit the front pages of art magazines and he is able to discern the all-important difference between a great work of art and a standard one. Galerie Stefan Hildebrandt maintains a highly selective stock of art works, offers appraisals, and facilitates buying and selling.